On September 19 satellite images showed the destruction of a warehouse in Latakia that was targeted on September 17. 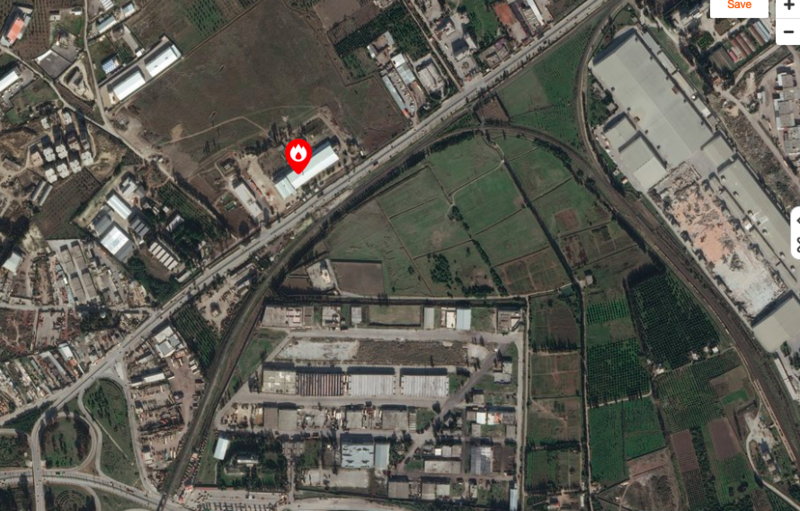 In the images, published on i24 and distributed by ImageSat International (ISI), the area of the warehouse is seen on September 18, 2018. One large warehouse is completely destroyed. Other buildings nearby are left intact. Another image shows the same location in April 2017. What is interesting is that a building directly behind the large warehouse that appears new was not struck. Only the large building and an adjoining structure. Another building on the other side was also not impacted. 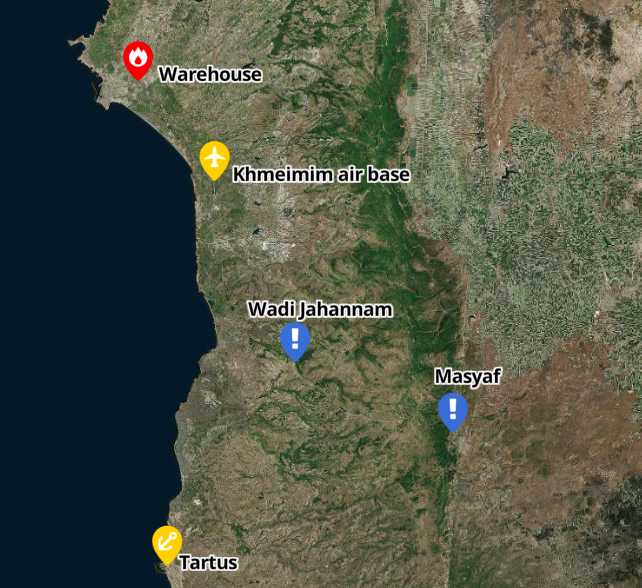 The warehouse is on one of the main roads into Latakia and near the M4 which goes to Idlib and Aleppo. It is about 20 km from Khmeimim Air Base which is used by the Russians in Syria. It is also about an hour drive from the Wadi Jahannam site where Iran is alleged to be building or warehousing missiles. This facility has gained attention in the past and is alleged to be another area of concern for Israel. On September 18, after the airstrikes, the IDF said that “Overnight IDF fighter jets targeted a facility of the Syrian Armed Forces from which systems to manufacture accurate and lethal weapons were about to be transferred on behalf of Iran to Hezbollah in Lebanon.” This indicates that the facility next to Latakia was run by the Syrian army and regime, but it was housing weapons to be transferred from Iran to Hezbollah in Lebanon. Why would you warehouse such dangerous weapons, that are known to be a target, in a city. The warehouse, completed in the last few years, clearly was built for this purpose. 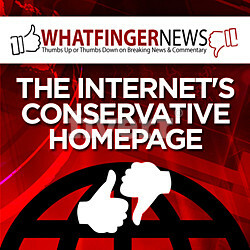 Is this because Iran wants to house its weapons closer to civilian areas. 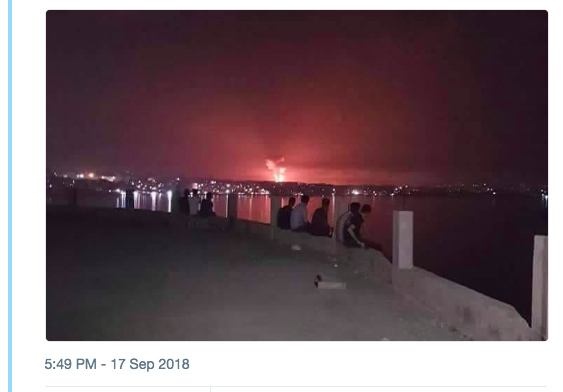 Is it because the regime and Iran know that any airstrikes on a sensitive location here will risk not only the nearby Russian assets, such as the S-400 air defense, but also civilian areas. There is a university near the warehouse and a port around 3 km away. There is an industrial area as well. The airstrike on September 17 illustrates that Israel is serious about interdicting Iranian weapons flows to Hezbollah and also Iran or the regime’s attempt to continue construction of facilities used for weapons transfer. 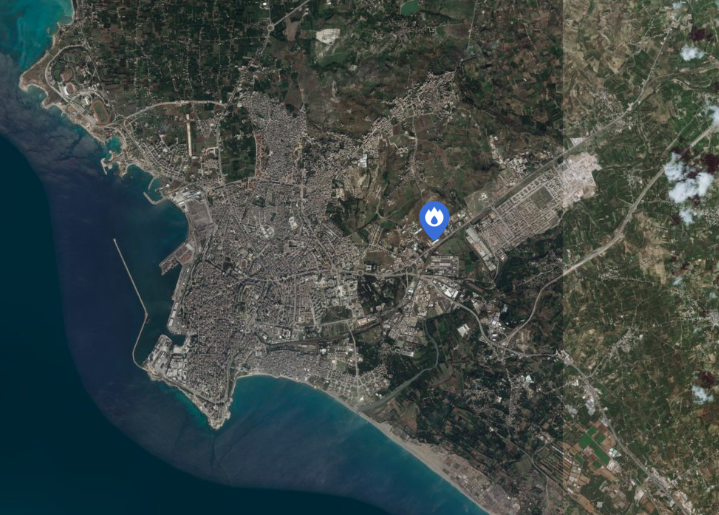 The mistaken shoot down of a Russian IL-20 on that evening, causing the deaths of 15, shows that the proximity to Latakia and other sensitive areas, such as the airport and Russian planes, can lead to a major escalation. The Syrian air defense shot down the Russian plane with an S-200, but Moscow expressed serious concern over how the air strike was carried out.